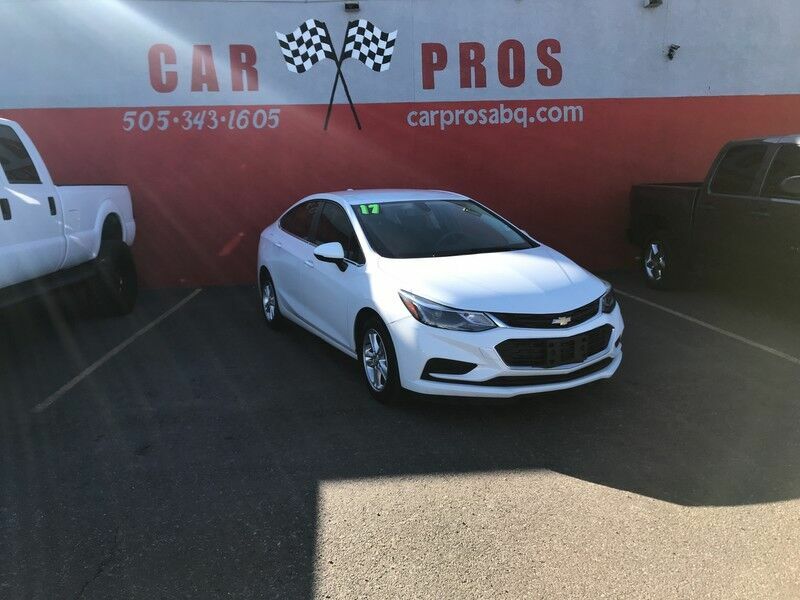 Eye-catching in Summit White, our One Owner and Accident-Free 2017 Chevrolet Cruze LT Sedan is a spectacular blend of performance, efficiency, and style! Powered by a TurboCharged 1.4 Liter 4 Cylinder that offers 153hp while connected to a responsive 6 Speed Automatic transmission. Enjoy swift acceleration with plenty of power for passing and merging, while attaining near 40mpg on the highway in this Front Wheel Drive sedan that has been sculpted to aerodynamic perfection and has a sporty appearance you'll praise each time you open the garage door. Designed to work hard for you, this LT offers a peaceful drive with plentiful amenities including cruise control, a center armrest, steering wheel mounted audio and phone interface controls and 60/40-split folding rear seatbacks that offer ample space for all of your gear. Staying safely connected is a breeze with Bluetooth, OnStar with available 4G LTE connectivity/WiFi, MyLink infotainment with a prominent touchscreen display, Apple CarPlay, Android Auto, available satellite radio, and more! Our Chevrolet doesn't miss a beat and provides confidence with stability control, four-wheel anti-lock disc brakes, advanced airbags, and even offers a Teen Driver feature. Delivering all the technology, efficiency, and style you crave, our Cruze is an outstanding choice you've got to see for yourself. Print this page and call us Now... We Know You Will Enjoy Your Test Drive Towards Ownership! We deliver all over the country! Check out our 5 star reviews on Facebook, Google and YELP! This vehicle qualifies for great financing. If your credit is not the best, we go out of our way to get you the financing that best fits your needs. Extended warranties and GAP insurance are also available. Financing is OAC. We are located at 5029 4th St NW Albuquerque NM 87107. Call now at 505-343-1605! !